Thrower: Do come in. You may leave your shoes on if you wish. I lost a caltrop earlier. Paul: Thank you so much for the dinner invite! It smells delicious. Thrower: You’re welcome. Some of my oldest survival rations were beginning to moulder. Paul: I… oh. What’s that box, there, buried under the camouflage netting? Wait, why is there camouflage netting in your kitchen? Thrower: I’m glad you asked about the box. That’s my newest game, The Last King of Scotland. I was hoping we might play while dinner finished. 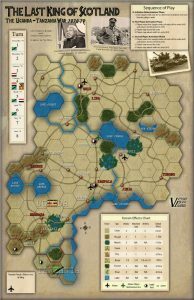 The rules are fairly simple, and it offers a grounding in common wargame concepts like Zones of Control and Lines of Supply. But they’re badly written, and it’s the first of a series so there’s basic rules, then more specifically for this scenario. Thrower: That’s because it’s a Victory Point game. They publish titles with cheap components to keep the price down. 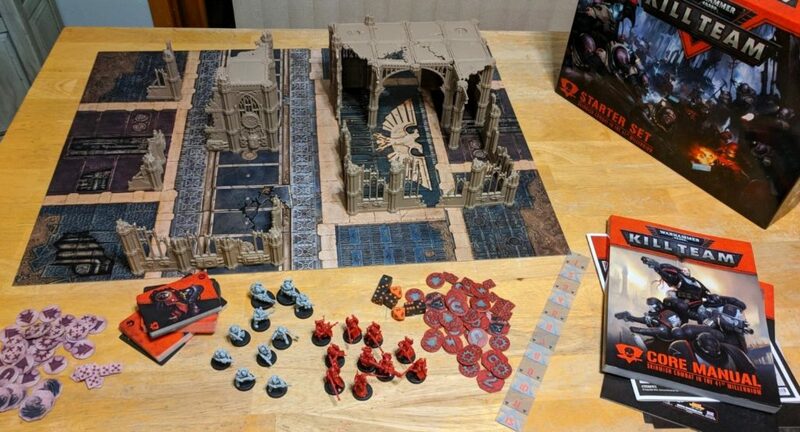 Their motto is “The Gameplay’s the Thing”, because they think the quality of play makes up for the flimsy components, which it usually does. Many wargames have paper maps and thin counters, which I generally avoid because they’d be crushed under sustained bombardment. Thrower: Otherwise, living in a tundra means I can see enemy forces approaching from all directions. I made an exception for this because it’s part of their luxury Gold Banner line and has chunky chits and a mounted jigsaw board. 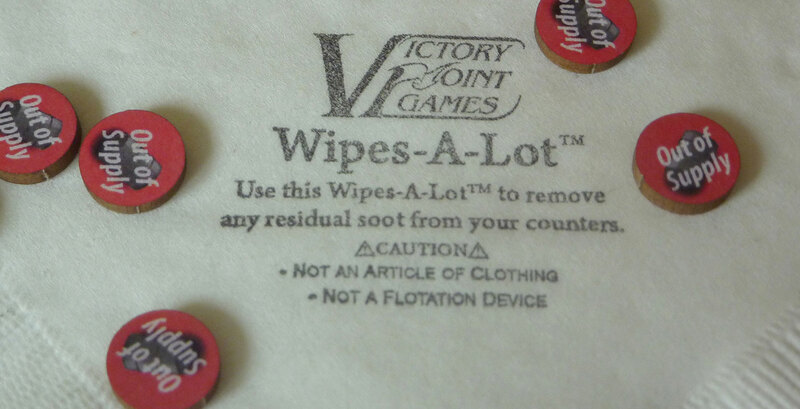 It’s also the first game I’ve seen that comes with a napkin, presumably to mop up the blood of your vanquished foe. Paul: Last King of Scotland. Wasn’t there a film about that? Thrower: I wouldn’t know. I don’t trust screens. 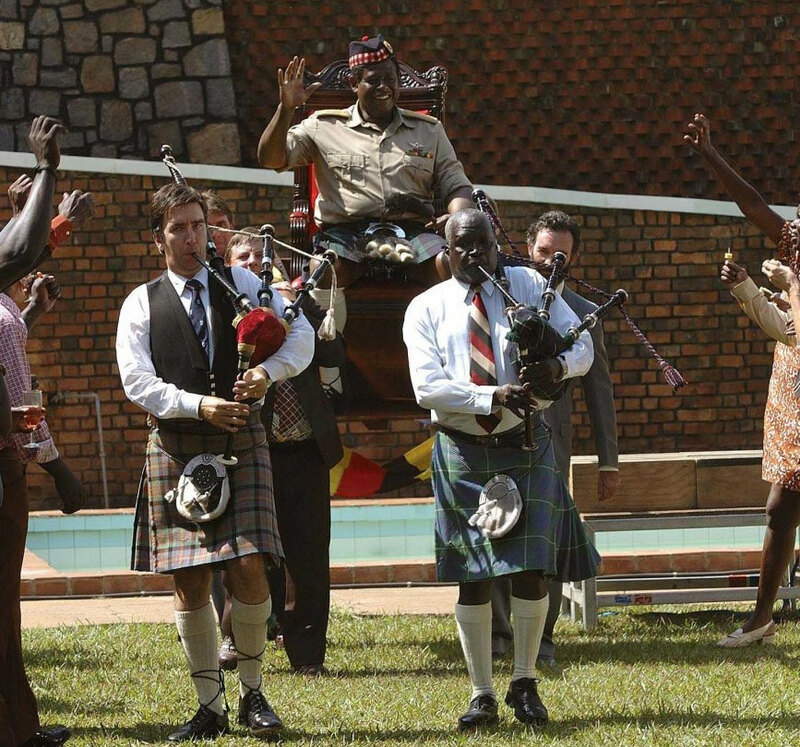 The title is a reference to Ugandan dictator Idi Amin, who was obsessed with Scotland and declared himself its king. 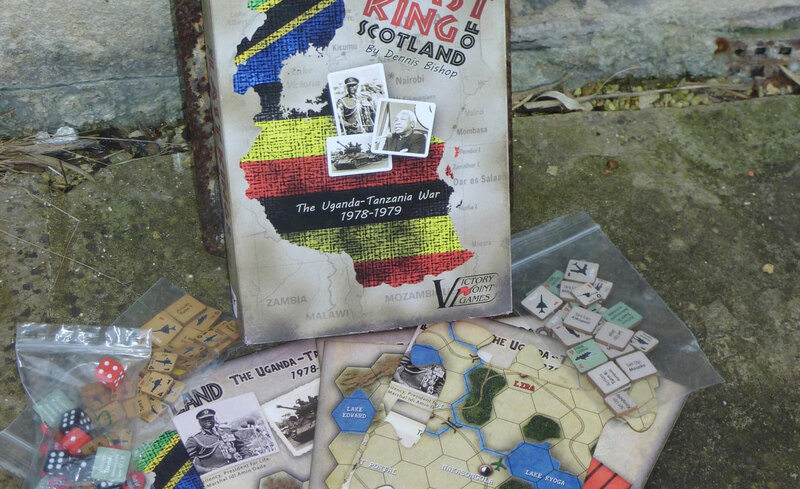 This game is about the war between Uganda and Tanzania that ousted him from power in 1979. Paul: That’s very recent! And the film suggested Amin was a particularly brutal dictator. I don’t know if I’d want to play a game about that. Thrower: An interesting observation. Many people are uncomfortable about playing games that simulate recent violence. But was Amin worse than, say, Stalin, who killed millions? And yet mainstream games about World War 2 like Axis and Allies don’t tend to produce that kind of emotional response. It’s pretty irrational to feel that one war is more suitable for the game treatment than another based on how long ago it happened. With recent history, players are encouraged learn about the wider political causes and consequences of the conflict. 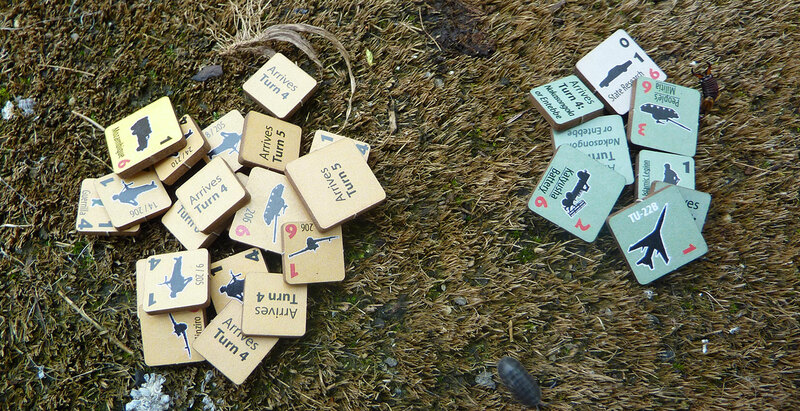 Remarkably few board games can claim to be so highbrow. Paul: He didn’t look very highbrow in the film. I think he was reputed to be a cannibal. Thrower: Don’t interrupt. 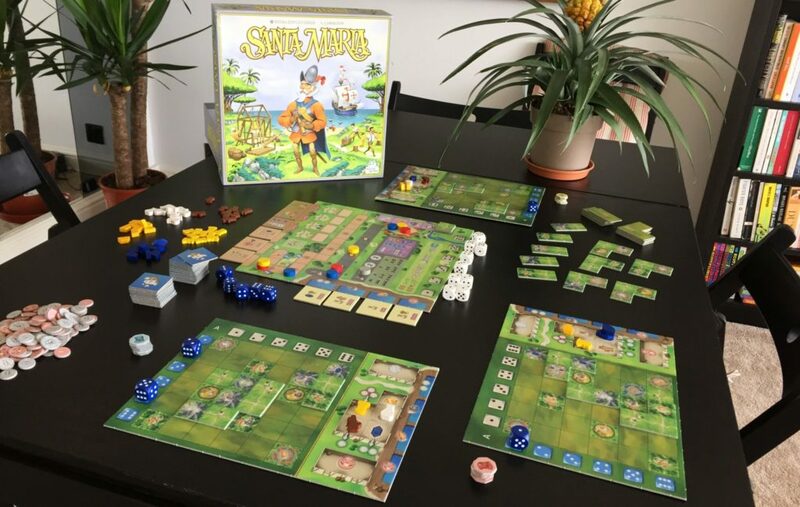 As I was saying the game itself is FAR from highbrow, being an enjoyable but chaotic romp where the dice ride roughshod over everything else. The designer points out that it was an especially chaotic war, but the result is annoyingly capricious at times. A lot of wargames make you add up combat factors, adjust for terrain, roll one dice and check the result on a table. It irons out a lot of the randomness, but it’s sometimes fiddly and boring. Adjectives which don’t apply to The Last King of Scotland. Thrower: No. Combat sees fistfulls of entropic cubes rattling across the table, driving all before them. Enormous swings of fate are common, the whole game state shifting from one side to the other in a single battle. It’s thrilling, edge-of-the-seat stuff! But it’s not so much combat that makes things so unpredictable, since lots of dice usually balance out over time. It’s Amin himself, and the Tanzanian Supply Effect. Paul: I think our food is burning. Thrower: Pay closer attention, please. You’ll never pass staff college with that attitude. 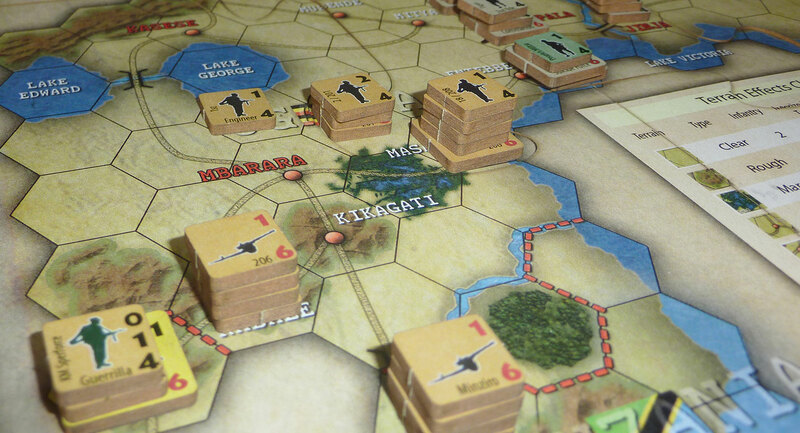 The Tanzanian Supply Effect happens every time that player rolls a one at the start of each of the eight turns, and means none of his units can move. Considering that he must traverse the entire length of the map to win, even a one-turn delay can make a huge difference. Two is catastrophic. Three and you might as well give up. Paul: What about Amin himself? Thrower: Well, those accusations were never substantiated. And in many cultures through history, warriors believed they could gain the characteristics of valiant enemies by consuming their flesh. Paul: No, no. I mean you mentioned there was some effect linked with Amin’s counter in the game! Thrower: Ah, right. Amin will probably either be killed or driven off the map during the game. When that happens, the Ugandan player rolls a dice each turn and loses that many units. The values rolled can make the difference between victory or defeat. Paul: So you’re saying it’s a crapshoot? Thrower: Not exactly. 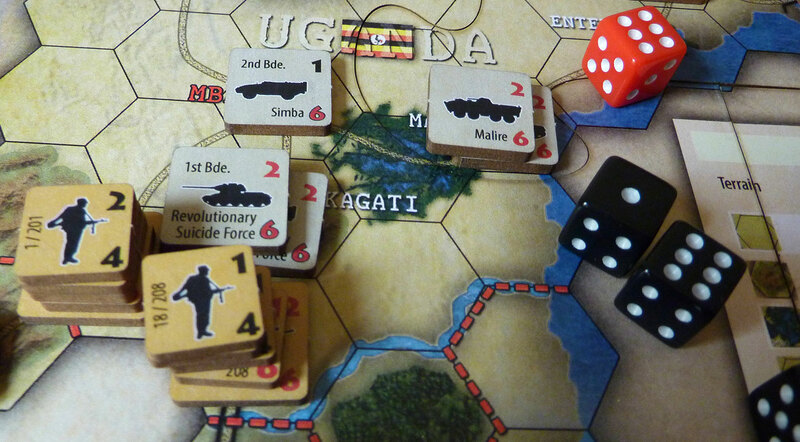 The dice are the ultimate arbiters of this conflict, but it’s an unusual scenario: Uganda is an oddly-shaped country and the historical war was very one-sided, aspects which are used to give the players the opportunity to strategize. The Tanzanians are attacking and have a numerical advantage. However, they’ve got to escape a bottleneck in the south-west of the map. There’s a particular megalomaniac joy to smashing waves of incompetent troops into the sea wall of powerful Ugandan units and trying to break through. You’ll need to maneuver your stacks carefully around one another to bring maximum force to bear on weak points. And if you make it, you get to watch the Ugandans scatter before you and hear the lamentations of their women. Paul: But that’s only half the story. Thrower: Quite. The defending Ugandan player needs to keep them cooped up as long as possible. Half way through the game he gets some desperately needed reinforcements to shore up his faltering defences and hanging in there until that happens can be an excruciating experience. You also get the best-named units. From the Revolutionary Suicide Force to the decidedly un-militaristic State Research Bureau, taking in the feeble-sounding but incredibly potent People’s Militia along the way, there’s a disquieting air of despotism and post-colonial lunacy about the whole setup. 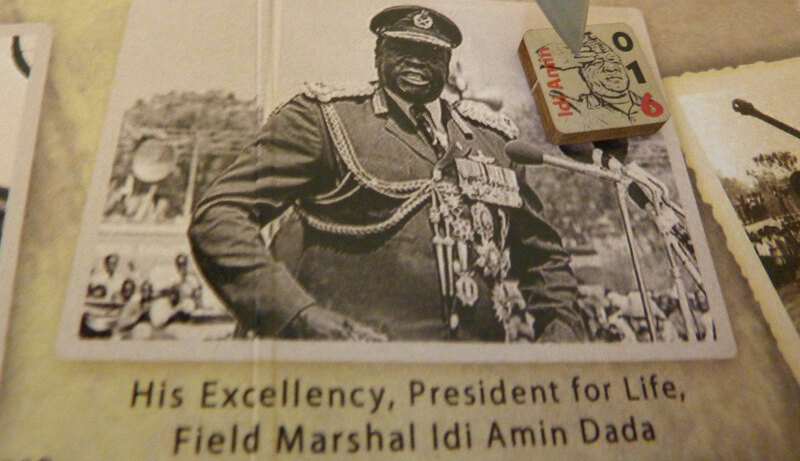 Once the Tanzanians get out, Uganda needs to retain control of key cities and keep Amin alive. It’s not an easy task but the game rewards planning and sensible use of defensive terrain. All the way up to the point where the dice smash you in the teeth. 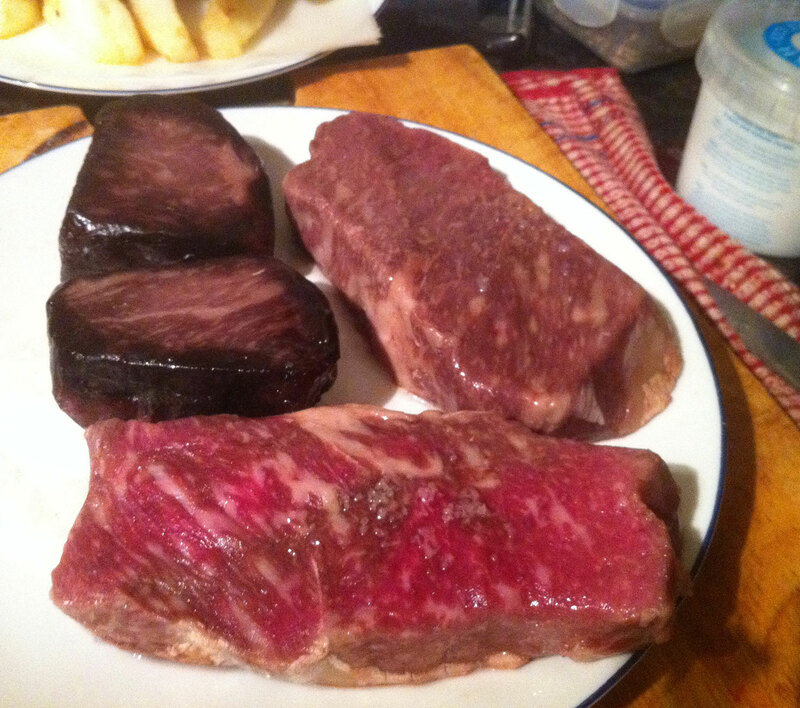 Speaking of which, dinner is ready. Thrower: Now, this carving knife is interesting. It’s a saw-tooth pioneer’s bayonet from the First World War. Handy for carving the more unusual joints. There you go! Thrower: Games that scupper your plans with excessive randomness are infuriating, don’t you think? But the fact is, The Last King of Scotland gets away with it because it’s short, exciting and cheap. You’ll forgive a game a lot when it’s short, exciting and cheap. Paul: Sorry, do you have a toilet? Does it have a window? Thrower: In truth, I was hoping that The Last King of Scotland might set a new standard in approachable wargames, with its short rules and 90-minute play time. 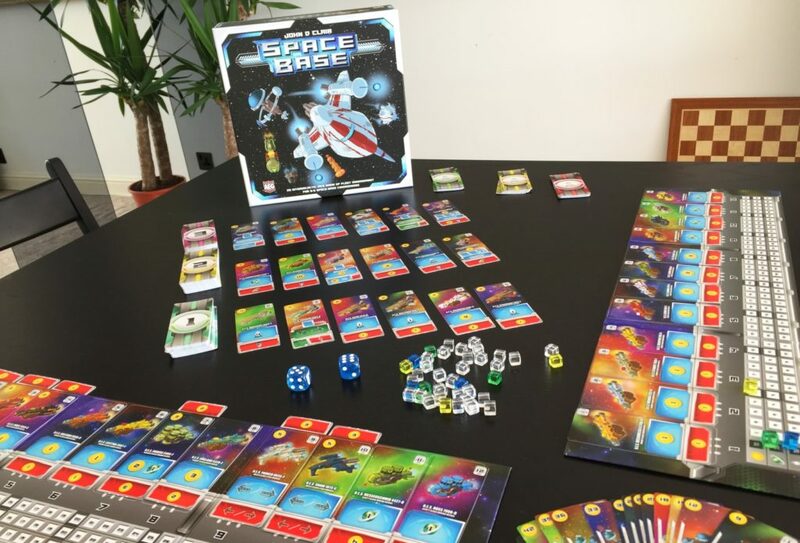 But the rules are confusingly written, and the massive reliance on dice is going to put off some gamers. Thrower: I think it’s flawed, but fun overall, and worth the tiny asking price. If you savour chaos and can stomach the idea of playing Amin with his unusual habits, there’s plenty to get your teeth into! Now, pass your plate for the first slice. Paul: Ah. I think I found the caltrop. It’s in the sauce. Thrower: That’s not a caltrop.